Flower Camping de Mars är en camping i Cordelle, Loire. Denna terrasscamping har platser med stängsel, med skugga och platser med lite skugga. Det finns möjlighet att hyra tält, husbilar och bungalows. På campingen finns en lekplats och ett sportområde. Denna inspektör gör varje år ett besök på Flower Camping de Mars och inspekterar campingen för ca 200 faciliteter och för andra förekommande punkter. Inspektören är en medarbetare från ACSI och arbetar inte för campingen. Gillade - We have been camping in france for several years and stayed in many sites. This is first one we have stayed at since having a baby and it was a lovely experience. It was quiet very friendly land had loads of space. A really lovely site. Gillade - Everything. Fantastic location, great chalet, Céline and Fabrice were lovely, helpful and friendly. Couldn't ask for more. Ogillade - Nothing to dislike. Gillade - Great pitches, privacy provided by hedges. Good amenities-a site bar and shop next to the reception, perfect after a long day driving to enjoy a beer and the view across the pool. Ogillade - The shower and washing facilities could have been cleaner, towards the end of my stay I noticed a brown stain above the peg in the shower cubicle and this was not cleaned during the remainder of my stay. Gillade - very relaxing and quiet place to sit and watch the world go by. good pool to cool off. Vill du boka campingen Flower Camping de Mars eller få mera information? Det går bra med nedanstående uppgifter eller via campingens webbsida. 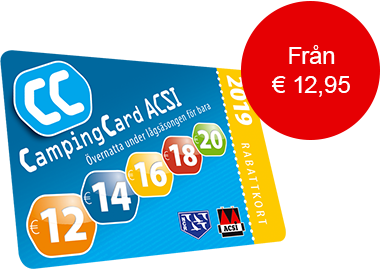 ACSI Eurocampings skickar din informationsförfrågan till "Flower Camping de Mars".